For decorating a bedroom, one can add endless choices to the list. Since your bedroom is that perfect spot in the home which you can proudly call your own. It is your sanctuary where you can spend some quality time with yourself or with your loved ones. Therefore, your bedroom should ooze out maximum levels of comfort and grace at the same time. And you should leave no stone unturned to decorate it as per the modern standards of living. Now bedroom décor is a vast term and you can accessorize it to your heart’s content if the budget allows. But many of us falter here. Because of the budget constraints, some people end up buying cheap quality products for their bedrooms. Not a very nice thing, is it? Certainly not! So, here are 5 stunning bedroom decor ideas to go by to give it a perfect look. Firstly, start with the basics of bedroom décor ideas; the wall paints play a major role in giving it a beautiful look. For bedrooms; generally softer tones are preferred and recommended as well by the home décor experts. Go for shades of white, grey or light green for master bedrooms. For the bedrooms of children; go for lighter shades of pink for girls and blue for boys and they will absolutely love it. 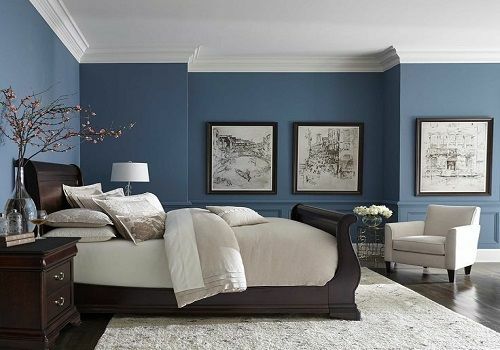 You can even add multiple shades to each wall of your bedroom or paint one wall with a different color than the rest to make the bedroom look chicer. 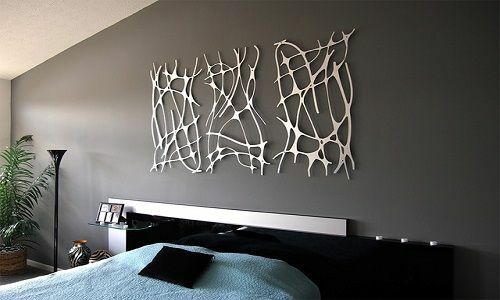 Now having the right kind of wall art in the bedroom plays an important role in making it look modern and stunning. These days, adding mirrors on the walls has become a great replacement for hanging other types of wall art. Because they give your bedroom a wider look and look great as well. You can hang a couple of wall-sized mirrors on the alternate walls and you will no longer need any more wall art for your bedroom walls. one of the stunning bedroom decor ideas is the type of furniture used. 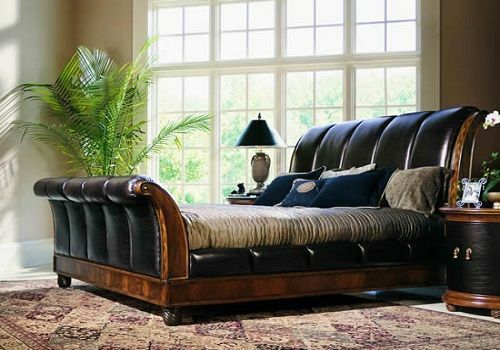 Quite a unique trend to follow which is also very much in fashion these days, especially for bedroom décor, is to add a beautiful set of leather-made sofas with a wooden coffee table. By doing this, you will create that perfect spot in your bedroom. Where you can just sit back and relax with your loved ones on lazy summer evenings and long winter nights right by the fireplace. Moreover, you can also add a great comforter set for your master bed with matching pillows and fluffy cushions to balance out with the furniture. Always a great idea to go by! Place a beautiful Turkish rug right next to the bed and you will not be able to go outside of your bedroom without getting your feet to dig into it for a while. It’s that soft and fluffy. Moreover, you can also buy matching carpets with the curtains or with the furniture color to give your room a beautiful ambiance. Finally, Not only considered a useful accessory for the bedroom but also a beautiful item to be added to its décor; having a couple of stylish bedside tables should be your topmost priority. You can place small beautiful picture frames with your family pictures or nice fresh flowers nicely stacked in vases on these bedside tables to add more beauty to it. 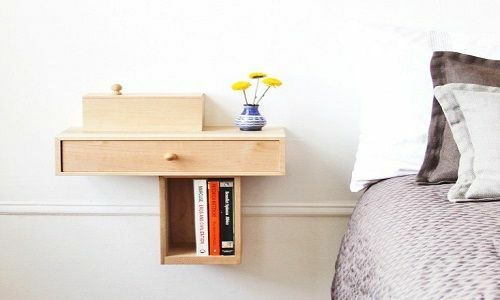 Can you please add more side tables ideas ?